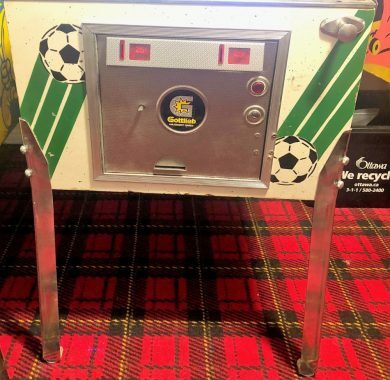 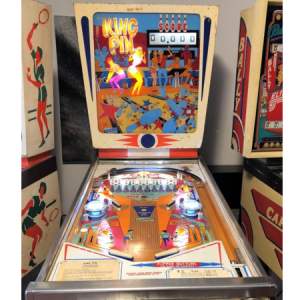 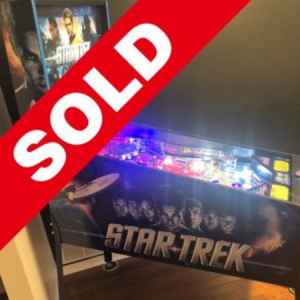 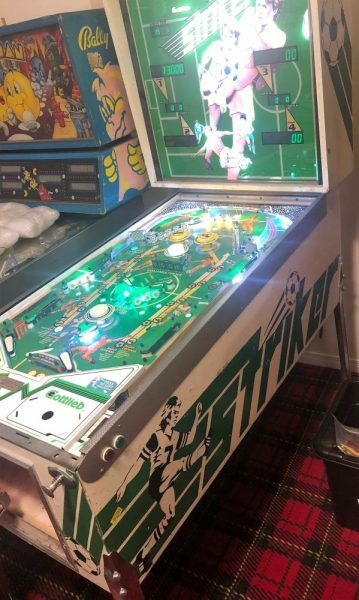 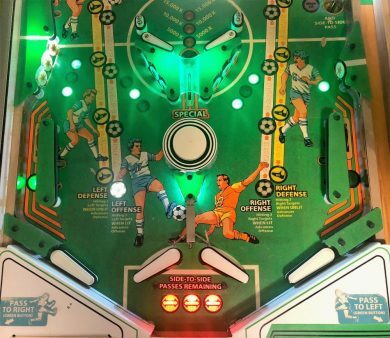 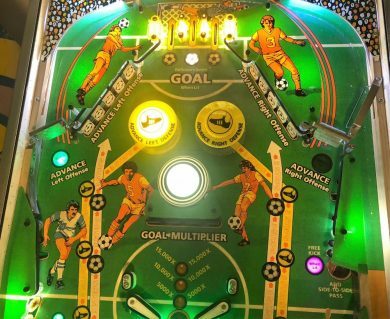 Sales > Pinball Machines > Gottlieb Striker Pinball Machine – Full LED, Pascal All-in-one, Very Rare & Minty! 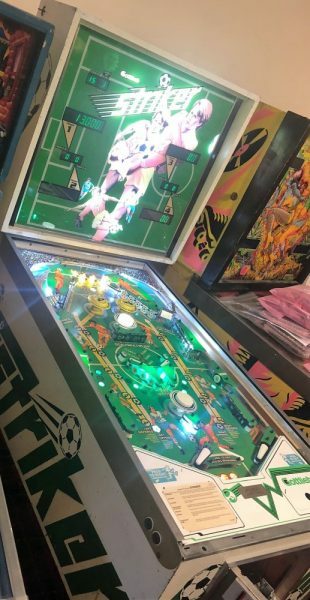 This Gottlieb Pinball Machine from November 1982 is in amazing condition cosmetically, and plays extremely well. 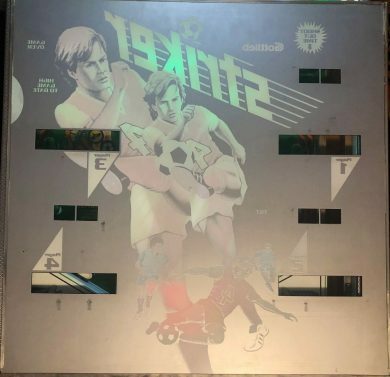 It is a very rare game, with only 910 units ever produced, most of which were exported to the European market. 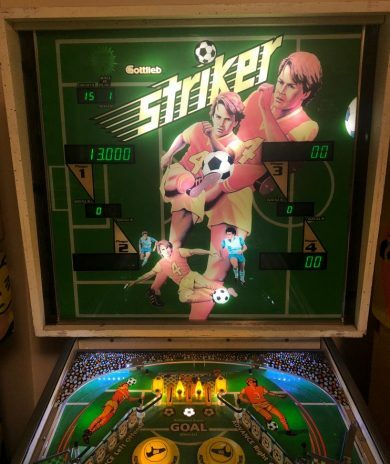 This is likely one of the only Strikers available in North America, and one of the best examples in the World. 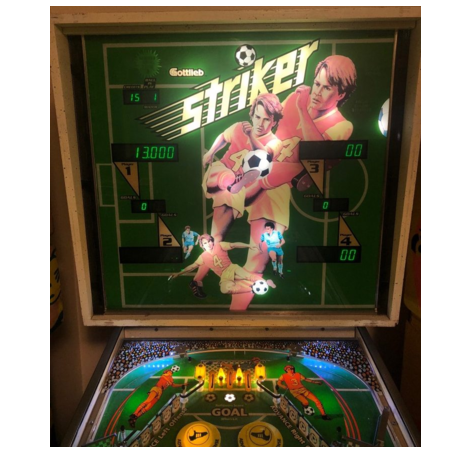 With the popularity of Soccer in Canada growing every year, this may not last long, and it is unlikely we will ever see another, so if this is a game you want, do not hesitate! 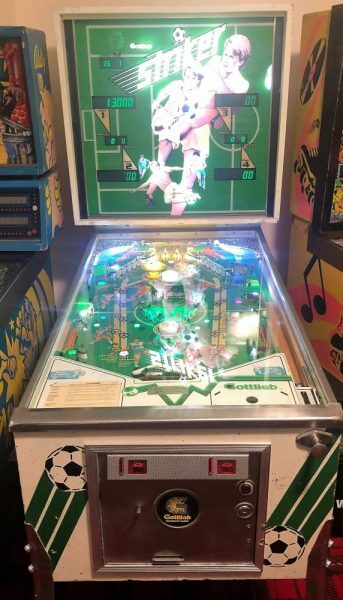 It has been shopped with new rubbers, switches adjusted, and has been test played at our facility. 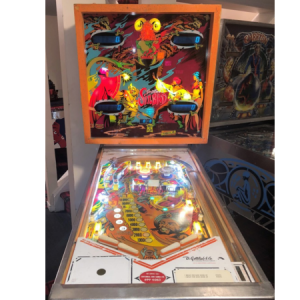 It features a full LED conversion using Comet TWIN 2835 SMD’s, colour matched to the inserts and playfield features, with some added splashes of colour to accentuate the vibrant colours of the artwork. 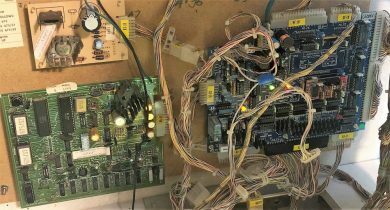 It also features a Pascal Replacement MPU, Power supply and Driver board all-in-one combo, adding many new features and greatly improved reliability.